Free online educational videos, worksheet generators, curriculum reviews, homeschool planning help, websites tailored toward various homeschooling philosophies, and more! Khan Academy's mission is to provide a free, world‑class education for anyone, anywhere. Personalized learning resource for all ages! The Home School Mom is home to quality, hand- picked resources including homeschooling lesson plans, unit studies, software, websites and more. Raising Lifelong Learners is a website for all homeschoolers with a special focus on resources for gifted children and hands-on learners. New to notebooking? Check out this time-tested way to add more fun to any curriculum! NotebookingPages.com has pre-formatted notebooking for every subject imaginable and hundreds of free printables. You're going to want to bookmark it and visit again and again! At The Math Worksheet Site, you can create an endless supply of printable math worksheets. The intuitive interface gives you the ability to easily customize each worksheet to target your student's specific needs. Every worksheet is created when you request it, so they are different every time. Cathy Duffy Reviews is the premiere site for researching curriculum options with in-depth reviews of every curriculum product out there - a long-time favorite of homeschool parents! The Old Schoolhouse Review Crew, a team of homeschooling mom bloggers, gives you in-depth, detailed reviews of all the latest products on the homeschool market. Well Planned Gal offers a wealth of information for new homeschoolers, including help in curriculum planning, ideas for organizing your homeschool and plenty of encouragement! A treasure trove of homeschool planners, household planners, calendars, handwriting lessons, printable worksheets and papers for several subjects. This website requires a subscription for most of the content, but has been invaluable for many of our CHEBWA members. Home to The Old Schoolhouse Magazine, Schoolhouse Store, E-Newsletters, and plenty of resources for new homeschoolers! "Homeschool Art and Music Plans for Busy Families". Harmony Fine Arts offers curriculum for sale as well as a blog that offers great ideas for art and music study. Teach Kids Engineering is a fantastic site designed for parents and teachers looking for ways to engage their kids early in the world of engineering. Lots of great DIY projects and examples! "What starts in a story grows into a life." 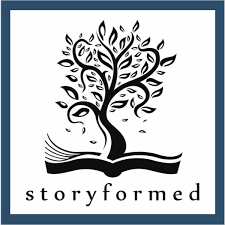 The heartbeat of Storyformed is simple: To get life-shaping books into the lives of children everywhere. To help you discover the best children’s books. To celebrate the soul-forming power of imagination and story. To help you and your children live a story worth telling. 1,000 good works of literature, divided up by reading level. This list will give you plenty to keep you busy for many library visits to come! Simply Charlotte Mason offers curriculum guides, lesson plans, books and other resources for a Charlotte Mason-style education. "We are dedicated to helping you homeschool your children using the Charlotte Mason method and wonderful philosophy of education. Whether you’re looking for great living books, a free Book of Centuries, ideas for narration, the CM Organizer — a planner designed specifically for CMers, dictation exercises, free manuscript copywork, or a family-integrated and enjoyable curriculum, Simply Charlotte Mason is here to save you time and keep you organized." A guide to classical education at home! The Well-Trained Mind is a guide for those just starting out with homeschooling, those who have a few years of experience, or those who have been educating their families for a long time and just need to read some recommendations for working with older students. With this model, you will be able to instruct your child in all levels of reading, writing, history, geography, mathematics, science, foreign languages, rhetoric, logic, art, and music, regardless of your own aptitude in those subjects. Trivium Pursuit offers resources for families who desire to implement a classical education at home.